I talked about Prague a few blogs ago, but I have not mentioned my hometown and the city I was born. There is a lot of things to talk about, so I will probably write two or three more posts about it because my town in many ways is really a pearl in a sea. 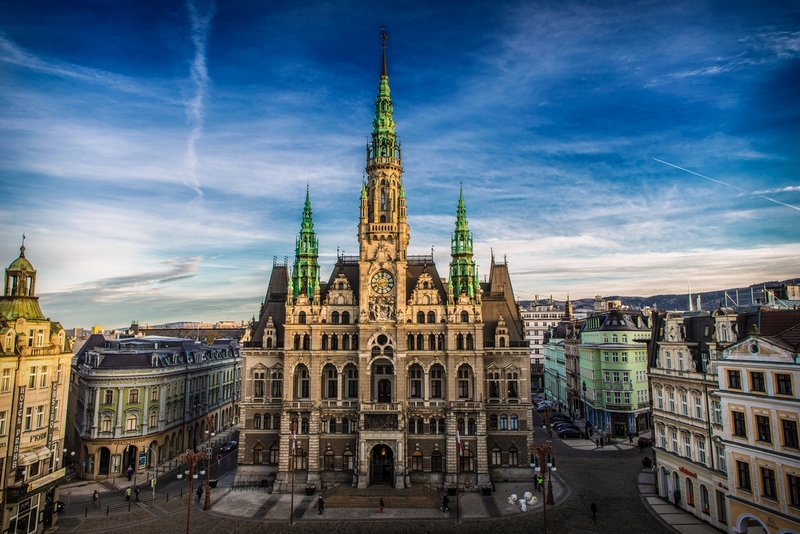 Liberec or as many people know the city as Reichenberg in German, is a city located on the North of the Czech Republic, only 30 minutes from German and Polish border. It has population of 102,000 people and it was first mentioned, and therefore established in 1352. It is a pearl in the sea, because of its population and economic power and demand, it is very beautiful and historic. Liberec has a lot of beautiful, historic and modern buildings that form the city, but those Jětěd and Liberecká Radnice are the symbols of the town. 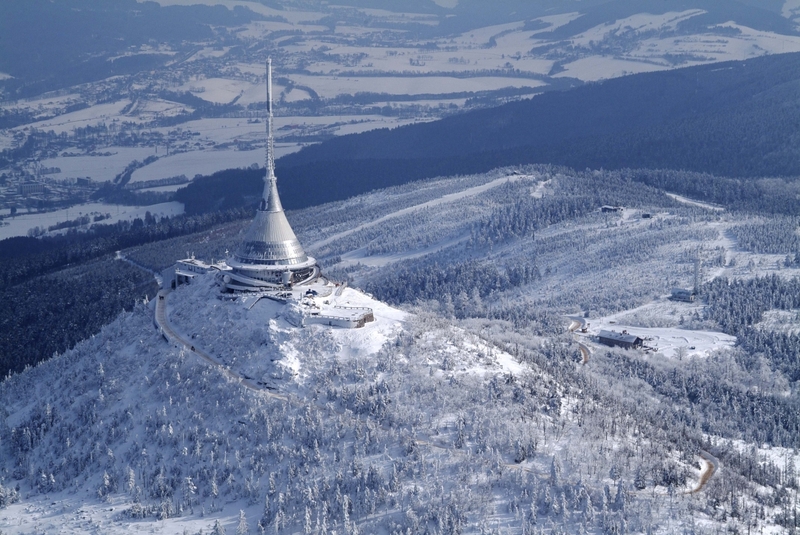 On of the great things in Liberec is its location between mountains, so people can in 20-30 minutes drive outside Liberec and ski, mountain bike, walk, or cross country ski. 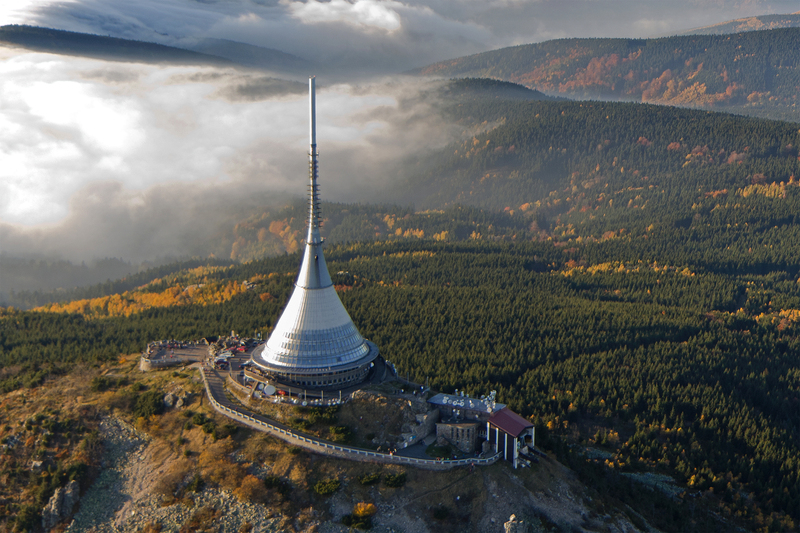 On the top of the mountains is a telecommunication tower and hotel at the same time. It was designed by Karel Hubáček and built in 1973. In that time, people saw it as “futuristic” building. Ještěd in during the winter. The second symbol of Liberec is Liberecká radnice, which would translate to English as Town Hall of Liberec. The architect of this was Franz Neumann, an Austrian architect. The building was finished in 1893 and it is a “smaller” copy or version of the Town Hall in Vienna.